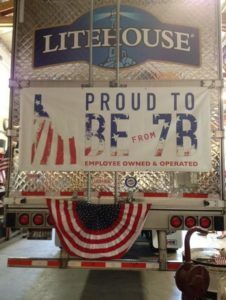 The past year has been good to Litehouse, Inc.
Employees decorated their Litehouse truck for the Fourth of July Parade. Photo courtesy pinterest. The Sandpoint-based company announced this week it experienced a nearly 18-percent increase in net sales last year, and its share price increased nearly 15 percent over the previous year. This year also saw the completion of a new 58,000-square-feet manufacturing facility, dramatically expanding the company’s production capabilities and streamlining the shipping process. 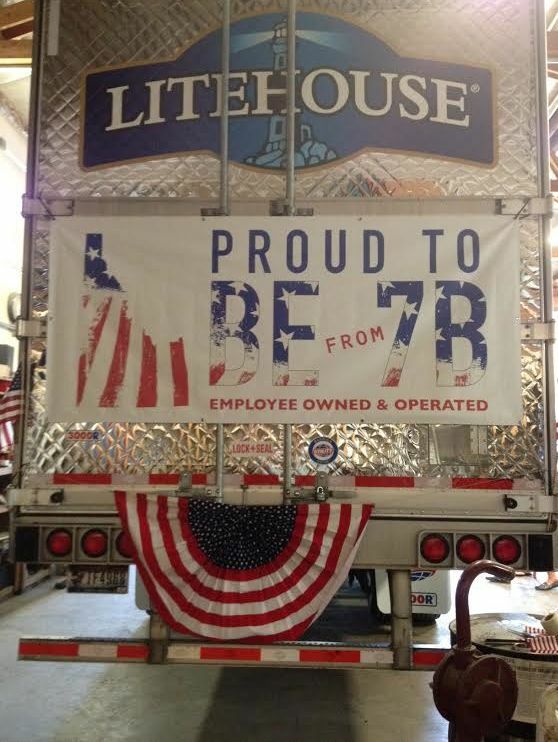 Litehouse officials credit the growth figures to its status as an employee-owned company. The culmination of an employee stock ownership plan that began in 2006, Litehouse achieved 100-percent employee ownership status in early 2015. In the announcement of the recent sales growth, Litehouse officials cited a study indicating that employee-owned companies on average grew faster than non-employee-owned companies.